Ever since British voters decided to have Britain exit the European Union (EU) in June 2016, the process and timeline of the exit have been in question. This past month, British Prime Minister Theresa May triggered Article 50 which begins a two-year period of negotiations with the EU on exiting the union and establishing remediary trade arrangements with applicable countries. Should negotiations not be completed within the two-year period, then Britain would be required to follow World Trade Organization (WTO) rules on tariffs. 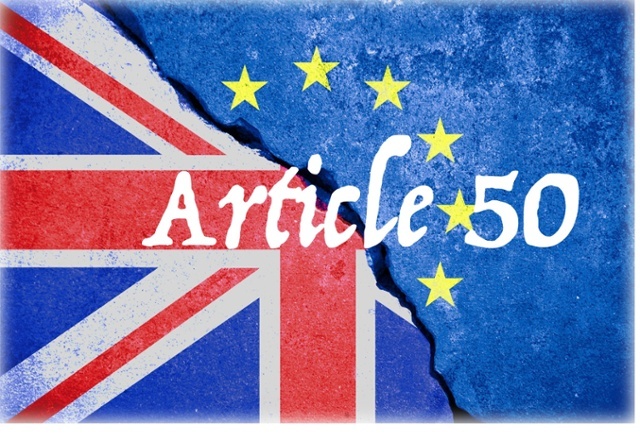 What has kept Britain from formally moving forward with its decision to exit the EU has been the delay in executing Article 50, which was never signed by the prior prime minister, David Cameron, and delayed by British courts on its applicability. The execution of Article 50 comes at a time when other EU member countries are having elections with EU membership as a notable topic. Here in the United States, triggering Article 50 is somewhat akin to having a U.S. state secede from the nation.